If you think something is amiss with your data, running an experiment again to figure out what’s going on is a good move. But it’s not always possible. A team of researchers in Seoul recently found themselves in a bind when they needed to check their work, but were out of a key substance: breast milk. The shortage led them to the retract their 2016 paper on a micronutrient found in breast milk that helps protect infants’ retinas. 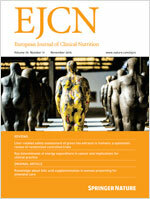 “Association between lutein intake and lutein concentrations in human milk samples from lactating mothers in South Korea,” was published online last spring in the European Journal of Clinical Nutrition.